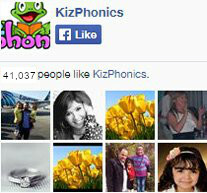 Kiz Phonics uses an eclectic mix of analytics, analogy and synthetic phonics methods when teaching children to read words. 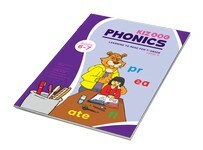 Our phonics powerpoints primarily employ analogy and synthetic phonics approaches, which are best-suited for teaching word blending. 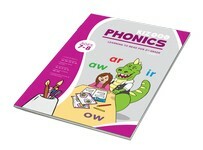 Download and use these excellent extra resources in your phonics lessons. /a/ /t/ blending – we blend /a/ with /t/ to read a word chunk ‘at’. /oa/ /t/ blending – we blend /oa/ with /t/ to read a word chunk ‘oat’. /ee/ /t/ blending – we blend /ee/ with /t/ to read a word chunk ‘eet’. We start by using synthetic phonics to create word chunks. We then use these word chunks/families in an analogy phonics method to add new sounds and read similar words. 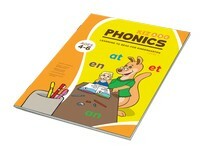 This exponential approach to teaching phonics is a key ingredient in the Kiz Phonics program. 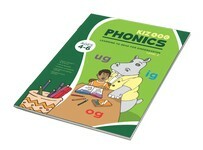 Similar resources for teaching using this method can be found in the Kiz Phonics® lesson videos under each level. Open the powerpoint and view as ‘slide show’. Each powerpoint is not automatic, which means it only moves to next if you click the left mouse button or the down arrow on your keyboard. Pre-teach the word chunk on the first slide by pointing, saying and asking children to repeat twice. Move to the next slide, which focuses on the key vowel sound. Teach that sound. Use the ‘If you are happy song’ if this is feasible. For example if you are teaching ‘oa’ vowel digraph, the song will go like this – If you’re happy and you know it say ‘oa’ ‘oa’. Kids focus on saying the ‘oa’ sound. Next use the key vowel to blend and read the word family. When four of this word family is repeatedly displayed on slide, drill the word families again. Step five brings in the magic. 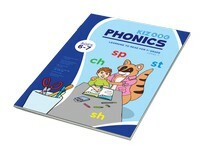 In this step, children will see how other letters are added to the word family to read four new words. Press the mouse once for a letter to descend and join the word family. Read the word. Keep doing this until all four words have been formed and read. Move to the next slide and quickly review. Quickly press your right mouse button while children repeat. Then press until numbers 1, 2, 3, 4 appear next to words. When the numbers appear, play a listening game. Tell the learners you will say a word in random order and they will quickly call out the number. Now reverse the order – teacher says the number at random and kids quickly call out the word. Keep doing this until the words are being read naturally. Then quickly go through the next slide(s) depending on the ppt, until you reach the final slide – sentence reading. Let students attempt to read the sentence. They should get the colorful words right but may struggle with the sight words of the sentence. After several attempts by different students, the teacher reads the sentence correctly and asks kids to repeat. Powerpoint for teaching 'at' word families and blends. Powerpoint for teaching 'en' word families and blends. Powerpoint for teaching 'ab' word families and blends. Powerpoint for teaching 'ack' word families and blends. Powerpoint for teaching 'ad' word families and blends. Powerpoint for teaching 'ag' word families and blends. Powerpoint for teaching 'am' word families and blends. Powerpoint for teaching 'an' word families and blends. Powerpoint for teaching 'ap' word families and blends. Powerpoint for teaching 'ash' word families and blends. Powerpoint for teaching 'ast' word families and blends. Powerpoint for teaching 'ed' word families and blends. Powerpoint for teaching 'ent' word families and blends. Powerpoint for teaching 'est' word families and blends. Powerpoint for teaching 'et' word families and blends. Powerpoint for teaching 'ig' word families and blends. Powerpoint for teaching 'og' word families and blends. Powerpoint for teaching 'ub' word families and blends. Powerpoint for teaching 'ib' word families and blends. Powerpoint for teaching 'ick' word families and blends. Powerpoint for teaching 'id' word families and blends. Powerpoint for teaching 'in' word families and blends. Powerpoint for teaching 'ink' word families and blends. Powerpoint for teaching 'ip' word families and blends. Powerpoint for teaching 'ish' word families and blends. Powerpoint for teaching 'it' word families and blends. Powerpoint for teaching 'ix' word families and blends. Powerpoint for teaching 'ob' word families and blends. Powerpoint for teaching 'ock' word families and blends. Powerpoint for teaching 'od' word families and blends. Powerpoint for teaching 'op' word families and blends. Powerpoint for teaching 'ot' word families and blends. Powerpoint for teaching 'uck' word families and blends. Powerpoint for teaching 'ug' word families and blends. Powerpoint for teaching 'um' word families and blends. Powerpoint for teaching 'un' word families and blends. Powerpoint for teaching 'ut' word families and blends. Powerpoint for teaching 'ail' word families and blends. Powerpoint for teaching 'ain' word families and blends. Powerpoint for teaching 'ay' word families and blends. Powerpoint for teaching 'each' word families and blends. Powerpoint for teaching 'ead' word families and blends. Powerpoint for teaching 'eal' word families and blends. Powerpoint for teaching 'eam' word families and blends. Powerpoint for teaching 'east' word families and blends. Powerpoint for teaching 'eat' word families and blends. Powerpoint for teaching 'eed' word families and blends. Powerpoint for teaching 'eep' word families and blends. Powerpoint for teaching 'eet' word families and blends. Powerpoint for teaching 'oad' word families and blends. Powerpoint for teaching 'oat' word families and blends. Powerpoint for teaching 'all' word families and blends. Powerpoint for teaching 'ar' word families and blends. Powerpoint for teaching 'aw' word families and blends. Powerpoint for teaching 'ew' word families and blends. Powerpoint for teaching 'ir' word families and blends. Powerpoint for teaching 'ood' word families and blends. Powerpoint for teaching 'ook' word families and blends. Powerpoint for teaching 'oom' word families and blends. Powerpoint for teaching 'oon' word families and blends. Powerpoint for teaching 'or' word families and blends. Powerpoint for teaching 'ou' word families and blends. Powerpoint for teaching 'ow' (long o) word families and blends. Powerpoint for teaching 'ow' (double vowel) word families and blends. Powerpoint for teaching 'ur' word families and blends.